The North Myrtle Beach, South Carolina area is known for its selection of fabulous golf courses, most of which have their own pros and offer lessons to their guests. There are, however, many golf schools in Myrtle Beach that are solely dedicated to the instruction and improvement of the golfer. You don’t have to look far in Myrtle Beach to find a golf school that offers lessons to suit your age, ability and budget. Carolina Golf Schools (http://www.carolinagolfschools.com) offer golf packages for every level and price range. Their award winning PGA, LPGA and PGTCA golf instructors guarantee improvement or they will pay for your next golf school. Their philosophy is that concentration on the fundamentals will get you the results you are looking for. 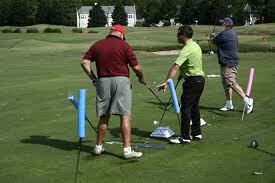 Carolina Golf Schools also offers family and parent/child instruction. Fabulous golf instruction in a beautiful setting is what you will get at Classic Swing Golf School (http://www.classicswing.com). Located at the gorgeous Legends Golf Resort in Myrtle Beach, Classic Swing was named one of Golf Magazine’s Top 25 Golf Schools in America, and thousands have benefited from the expert instruction of their top-notch staff. Ideal Golf Schools is part of a nationwide golf instruction organization that also has facilities in Palm Springs, Pinehurst and Las Vegas, among others. Small class sizes, video analysis and a 9-hole on-course lesson each day are available, and include free golf after class each day. Golfers of every age and ability will benefit from the instruction and experience they gain from The Golf School of Myrtle Beach (http://www.thegolfschoolofmyrtlebeach.com). Their professional instructors offer private lessons, group lessons, group clinics and beginners specials at reasonable prices, The Golf School of Myrtle Beach is staffed by a group of caring professional dedicated to help everyone from the average golfer to the more advanced to improve their game. Known for their large Junior program, The Golf School of Myrtle Beach is a great place to introduce your children to the wonderful game of golf. Mel Sole Golf School (http://www.ritson-sole.com) is consistently awarded a certificate of excellence by TripAdvisor and is located at the Resort Club at Grande Dunes Golf Resort in Myrtle Beach. Offering instruction by PGA and LPGA instructors and a maximum of four per class, Mel Sole Golf School is also known for its affordability. Kids learn and play free here, and video swing analysis and personal drills are included. In addition, Mel Sole has recently opened a new Senior Golf School. This is only a small sampling of the many outstanding golf schools in the Myrtle Beach area. Travel to one of America’s premier vacation destinations and enjoy its many amusements and attractions while improving game on some of the most beautiful golf courses in the country! There are, however, many golf schools in Myrtle Beach that are solely dedicated to the instruction and improvement of the golfer.